We will always do our very best to provide your usual service in the event of an unplanned absence by the members of staff usually responsible for your cleaning, however this may not be possible. We close for the Christmas period including Christmas Eve. You will be notified of the specific dates during November and December. We do not operate during Public and Bank Holidays. If your cleaning is severely affected by this, for example if your regular appointment is on a Monday, then please get in touch as we may be able to arrange supplementary cleaning for you. In the unlikely event that we are unable to keep an appointment we will credit your fee back to your account as soon as possible after of the break of service. Our Domestic Cleaning services are specifically tailored to suit specific clients’ needs. We work in teams of two and offer a totally flexible cleaning service. From daily tasks of keeping your washrooms and working areas clean to one-off deep cleans of office spaces or periodic cleaning of carpets, we follow high standards of management and vigilance. Our staff are trained on how to identify which type of upholstery you have which is critical to get the best results and avoid any damage to your soft furnishings. 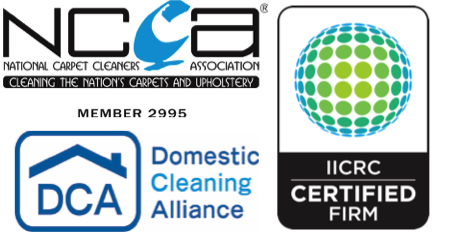 We use safe and effective non toxic cleaning products along with the latest and most powerful carpet cleaning machines available, ensuring excellent results and quick drying times.